"The Dictator" is a Hilarious Comedy Film I Tell You! - Hello! Welcome to my blog! "The Dictator" is a Hilarious Comedy Film I Tell You! Okay, I'm excited for this movie. Period. I'm sure it's going to be a great fun watching this movie. The award-winning writer/performer/filmmaker Sacha Baron Cohen is at it again and has made a living out of culture clash. From a British Jamaican-wannabe rapper slash chat show host, a somewhat naïve Kazakhstani television reporter or an out and relatively out there Austrian fashionista, Baron Cohen is in the business of finding humor and revelation in the often uncomfortable collision of vastly differing viewpoints and lifestyles. 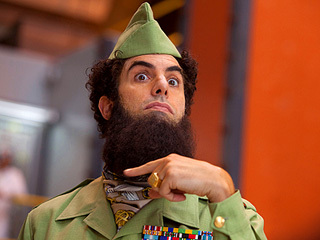 This time, he is General Aladeen who is an eccentric and oppressive leader. 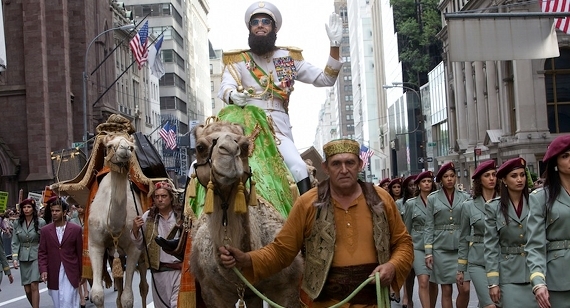 Aladeen is then summoned to New York to a UN assembly to address concerns about his country's nuclear weapons program, but the trip goes differently as he would have hoped. As usual for Baron Cohen, the character also needed to be grounded in truth. 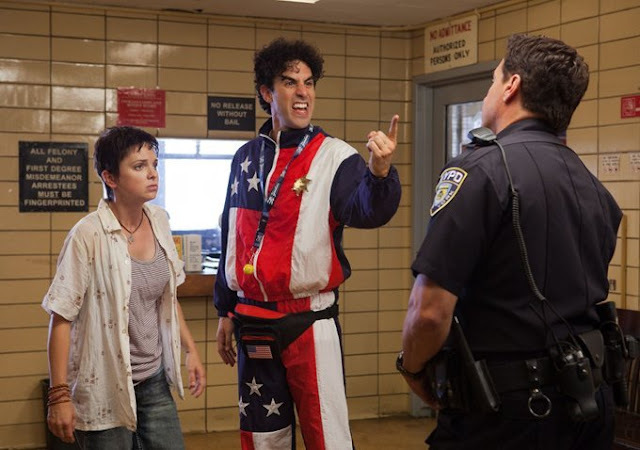 During the early stages of development, General Aladeen (Baron Cohen in full costume) was placed in several interview situations with people unaware of the ruse, and the resulting discussions were recorded. Larry Charles says, “Again, we were able to get away with it. It gave Sacha a chance to play with the character and interact in a spontaneous, improvised way. Joining Baron Cohen onscreen is ANNA FARIS as Zoey, the altruistic owner of the Free Earth Collective, a Manhattan health food store run on the honor system. 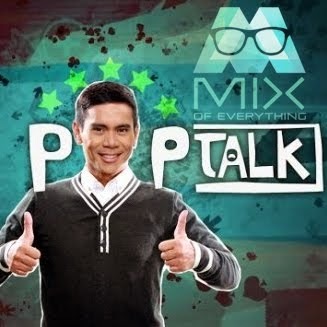 If you want to know what im talking about, check out the trailer below. “The Dictator” rated R by the MPAA is distributed locally by United International Pictures thru Solar Entertainment Corporation. Showing at your favorite theaters on July 25.